I was never any good at word problems in school but have developed a fantastic ability and fondness, for problem solving and trouble shooting different issues when it comes to putting logos on wearable items. 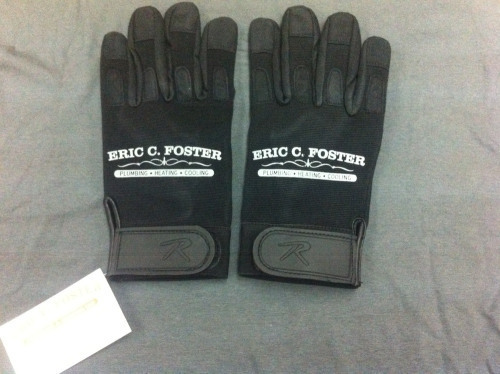 Eric Foster C. Plumbing and Heating wanted us to produce gloves so they could hand them out as Christmas presents to the different contractors they work with throughout the year. This was one of the more fun and challenging jobs we have had the pleasure of working on and certainly one of the more unique promotional christmas items we have seen. Check out some of our other accessories let us know what sort of brain busters you can throw at us.